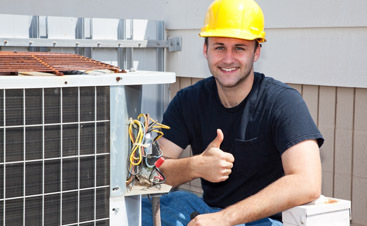 Valley Mechanical has been providing Commercial HVAC service since 1994 and has some summertime tips for commercial and residential HVAC customers alike. Check your thermostat. There are a couple of things to check your thermostat for. The first one it to make sure some hot blooded [person didn’t adjust the air conditioning so that the rest of you feel like penguins. Second, is your thermostat programmable? If not, consider replacing your old thermostat with a programmable one. 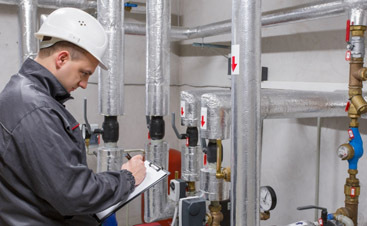 You’ll never forget to turn the temperature up for hours when no one is in the building and you can have the home or facility at a comfortable temperature when you walk in the door. If you have animals you can turn it up but not off, but don’t forget their comfort and safety. Take full advantage of your ceiling fan. Just because you ceiling fan is on doesn’t mean it is helping your cooling bill. Your ceiling fan has two settings: clockwise and counterclockwise. Clockwise pushes the air toward the ceiling and this setting should be used during the winter. The counter-clockwise setting pushed air directly downward and this setting should be used in the summer time. When the seasons change, take the time and effort to switch the direction of your ceiling fan. Another thing you can do is to turn the temperature of the thermostat up and sleep under a ceiling fan. The temperature will be higher, but you’ll feel just as cool because of the air brushing your skin. 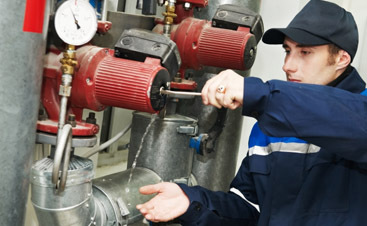 Call Valley Mechanical at (408) 538-7982 and set up a maintenance check of your Commercial HVAC or Residential HVAC unit.